ADHD in Practice offers these excellent classroom-interventions-for-children-with-adhd First published in ADHD in Practice 2016, Vol 8 No 3. Reproduced with kind permission of Hayward Medical Communications. Pupils with ADHD may therefore fall behind academically and socially. They may also have other learning problems. ADHD varies from child to child and may even seem to vary from day to day in the same child. It can be difficult to distinguish won’t behaviour from can’t behaviour, but it is best to keep a disability perspective towards the child. We’re not used to thinking of lack of self-control (needed for concentration, learning and good behaviour) as a disability, but for ADHD children it has not developed naturally, and may be a lifelong difficulty. This does not mean they cannot concentrate on things they find absorbing such as computer games, whose high intensity stimulation cuts through the ‘fog’ and over-rides other distractions. Do not value neatness over content and effort. The handwriting of ADHD children is frequently slow and poor. Remember that the effort involved for ADHD children is far greater than their output would lead us to believe. Allow other methods of recording. Remember to report to parents and other staff the child’s positive incidents and achievements. Teachers – are you missing the ADHD signs in girls? Watch this video from Dr Geoff Kewley, a Consultant Paediatrician specialising in the management of children with neurodevelopmental, behavioural and learning difficulties, especially ADHD and related issues and in working towards more appropriate service provision for children in educational services. 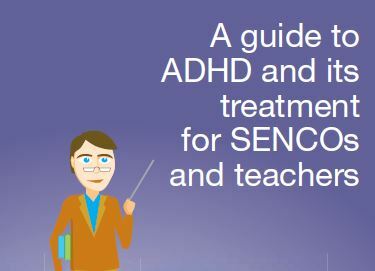 With an estimated half a million children in the UK thought to have ADHD, Dr Madan Mall and Dr Paul Holland look at educational strategies that can help these young people.